Setup an eBay style auction website on WordPress with responsive design. Make money by charging a fixed price for each listing submitted. You have the ability to auto approve or manually approve all the visitors in exchange for either a fixed listing fee or some % of the sales. WPAucion will help you set up a penny auction. Setup a nominal or specific change for bids on auction listings. Visitors can maintain a credit balance or pay before they can bid on Penny Auction Listings. Whenever a seller has sold something successfully, the buyer who has won the item will receive an auto-generated invoice. The invoice contains all the payment terms and link for completing the payment. The entire process is automatic and super simple to follow. You will also have an ability to set up a featured listing of items. The items are placed on the main page of the WordPress auction website for maximum visibility. These are a great way to showcase and generate views for listings. Apart from Stripe integration, WPAuctionSoftware is also fully compatible with PayPal and Authorize.net for hassle-free transactions. Just set up your account and start selling. 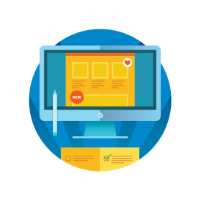 You can build an Advanced Auction Website for any type of business. WPAuctionSoftware - Responsive WordPress Auction Plugin, comes with a lot of features and one of the most important features is the ability to embed auctions into a page of your WordPress site. It's a complete Responsive WordPress Auction Plugin, which can be used for a whole range of Bidding or Auction Sites. What can you do with the most popular Auction Plugin designed for WordPress? Works with Popular Payment Gateways - Get money automatically for successful bids or new listings. Your visitors can sell items in eBay style auctions. They simply register, you can auto approve or manually approve them. They can list their items. You can charge a listing fee or % of Sale. Sell Digital Items like Music, eBooks, Videos and more. Sellers can make digital products available with a download link through the dashboard directly. You can work with WordPress Auction Plugin across your entire multisite network. Not only can users sell items in the eBay style auctions, they can buy other items as well. Run standard auctions. 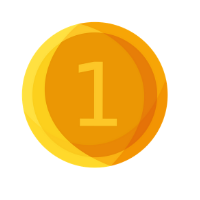 Your users can sell an item as a Standard Auction or list their item at a Fixed Price. You can also run a Penny Auction Site. Works with PayPal, Authorize.net and Stripe. Just setup your accounts and start selling. All the Auction Item Pages and Links are search engine optimized. Run your own Penny Auction website. This allows you specify a nominal charge for bids on auction listings. Users can maintain a credit balance or pay before they can bid on Penny Auction listings. 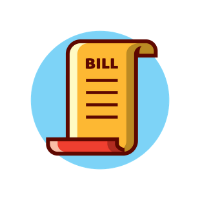 When a Seller successfully sells an item, the Buyer who wins the item is automatically sent an invoice and that invoice includes the Payment Terms and link for completing the Payment. Buyer and Seller can contact using the built in Communication system. You can enable this for enhanced communication between the users. 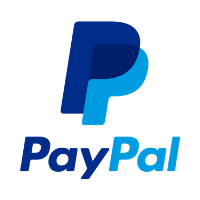 Before a User can submit a listing, they have to enter their PayPal email address. This ensures that proper invoicing is sent to the Buyer of their products. It's all integrated and is a 4 step process. Users can drill through the Categories searching for specific items in the auction listings. Your users can search via a keyword search or drill down through the categories. They can also use a Tag Search. Users can browse via the most used keywords (Tags) on the auction. A click of that Tag will show all the auctions that have those Tags (Keywords) in them. Your embedded auctions will have a responsive layout. Users can pay for Featured Listings where their listings will be featured on the main page of the WordPress auction site. These are the first auction listings that appear when you go to your auction site. Your users can also pay to have their auction listing appear on the sidebar of the site. You can see this in the demo. This can be turned off/on via the Admin Area. Sell items at a fixed prices. With fixed price listings earn get consistent and worthwhile sales. WordPress Auction Plugin makes sure that only registered users can bid. Stripe addon is now available for WPAuctionSoftware Plugin. Besides being PayPal & Authorize.net ready, WPAuctionSoftware can now support Stripe payments too. With this addon, you can now bid on two or more items being sold around the same time. 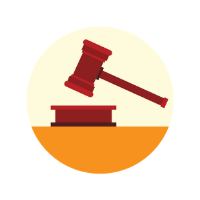 Proxy bidding makes bidding an online auction easier and less time consuming for buyers.